China, in the late 19th and early 20th century, was stifled with social upheavals. The Qing Dynasty 清朝时代 was on the verge of collapse. Many rebellions were mounted but were ruthlessly suppressed and brutally put down. It was very dangerous to live in that country during such a turbulent period. Guangdong广东, a southern province, was a hotbed of anarchy. The people living there used to say “Mountains were high and the emperor was far away山高皇帝远.” Therefore, many young men in that province do not hesitate to rise up and revolt. They just wanted a more peaceful life for themselves and their families. Against such a volatile backdrop, my paternal grandpa, Yip Kwee Kee叶巨基, was born, circa 1890 in Nam Hoi 南海district in Guangdong. Although diminutive in size, a man of few words and illiterate, like many of his contemporaries, he was drawn to the idea of a Republic. He was a very skillful bean curd maker and very proud of his trade. Business was good and every cent he earned was donated to this cause. He was a very generous man. The government arrested many of its opponents and their sponsors. They were executed publicly as a deterrent to others. He learnt, to his horror, that his name was blacklisted by the government. So, to save his head from being chopped off, literally speaking, he decided to run away to Malaya 马来亚or Nanyang南洋 as it was called then. He also changed his name to Yip Soo 叶苏to avoid being hunted down as he knew the government was hot on his heels. But something unexpected happened. The village headmaster, who was also a staunch supporter of the same cause and a well to do man, came with his only child, a young girl called Yim Mun严曼, to see him as he was packing to leave. “I’m too old to run away but please take my daughter with you to Nanyang. You can have her as a wife since I knew you are a hard working man” he told Yip Soo. Of course Yip Soo felt humbled by this sudden offer and could not turn down the respectable headmaster and the young girl standing in front of him. He gladly accepted this “gift” and promised to take her along to the new land. That was how an illiterate bean curd maker suddenly got himself a wife. A wife that was dropped from the sky, my Dad joked to me. After a tearful farewell, they boarded a steamer and set sail to a far away foreign land, determined to start life anew. No, Yip Soo did not intend to work as a mine coolie. He only wanted to sell his bean curds to them. He knew there was a ready market for his products. 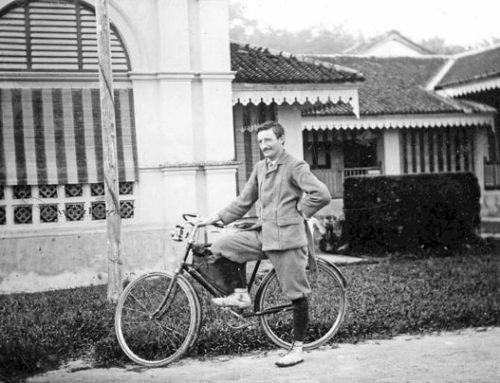 So, together with his new bride and a few of his brothers who also followed along, they settled down in Gopeng on arrival, circa 1915. They rented a little wooden hut and started making bean curds to sell for a living. Grandpa and his brothers quickly cut their long braids and threw them away. You could not be able to do that in China. A long braid is a symbol of subordination to the Qing Dynasty and any man found not having one will have his head chopped off at once! Later, his brothers branched out and started their own families. Not long after this, grandma gave birth to my dad and his two sisters. They made Gopeng their home. His business grew and he began to prosper. 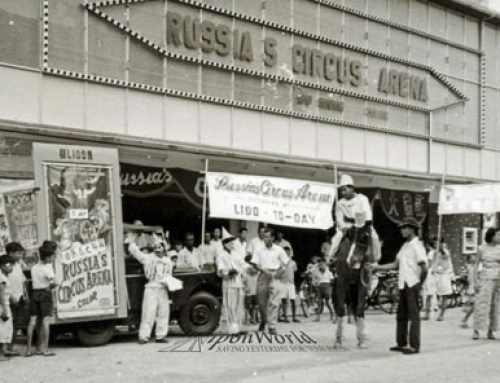 Having a little extra cash in hand, he began to indulge in gambling, his favorite pastime. He could always spend long hours gambling while his wife and children were left at home waiting for his return. Grandpa always brings home meats and vegetables from the market after he had finished selling the bean curds there. On the way home, he would often dropped by the gambling dens and once he was engrossed with his games, he would totally forgot about the food which became stale at the end of the day when he finally goes home. Many quarrels broke out between him and grandma because of his callousness. Once, he was caught in an illegal gambling den and together with the rest of the gamblers was taken to the police station. There, they were made to parade around the town with hands cuffed and placards hanging from their necks with the word “Illegal Gambler非法赌徒”. They were booed and jeered at by the locals. To shame you publicly was the way the British authorities punished illegal gamblers. 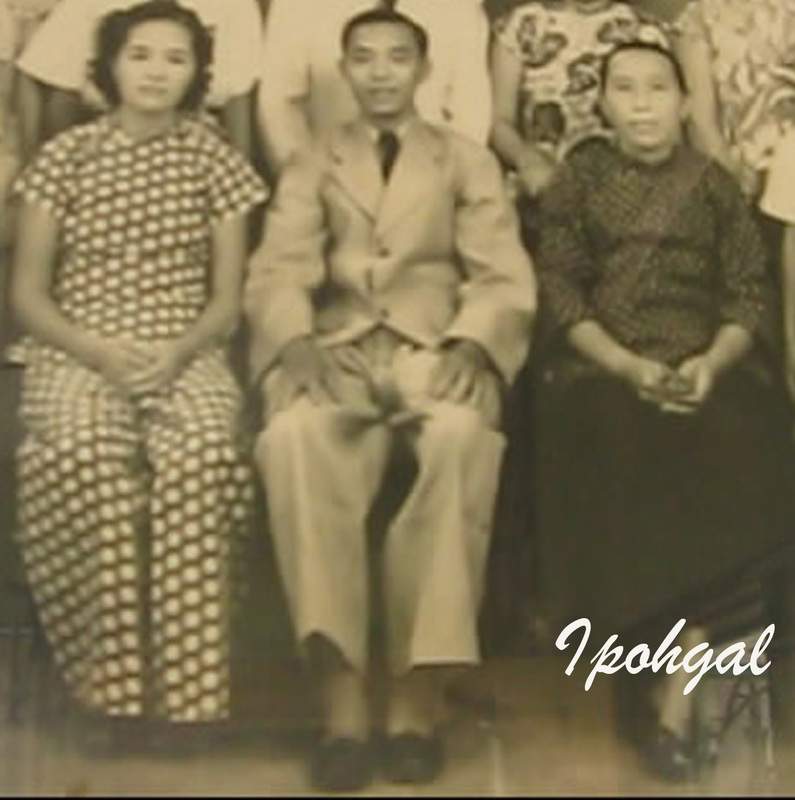 Grandpa soon earned the nickname “Tofu Soo 豆腐苏” among the miners who were mainly Hakkas 客家人. They simply loved his smooth bean curds which were cheap, nutritious and delicious. 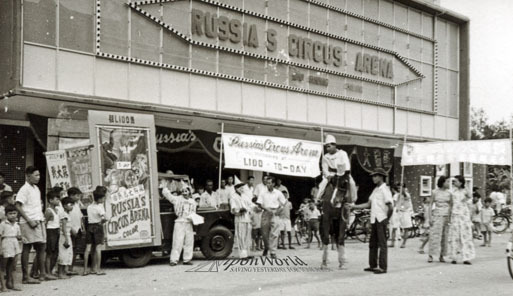 He soon became a popular figure in the market and the gambling dens! Many years later, he decided to have another wife to help out in his growing business. You will need as many pair of hands as possible in this trade. It was almost impossible to do things alone. What with the grinding, cooking and also chopping fire woods! Unlike her husband who could neither read nor write, not even his own name, grandma was an educated woman. She grew up reading classical literatures and doing embroideries. 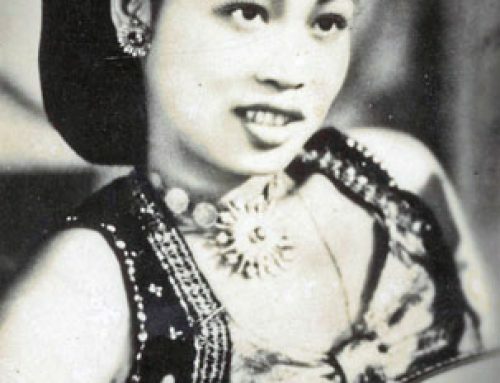 As a “siew cheh 小姐” or “rich missy”, she was used to being waited upon by maids in her childhood home. As a “siew cheh” worth her salt, she hardly touches any house work, let alone roll up her sleeves and helps in chopping fire woods! That would be a tall order. Anyway, Grandpa did not expect her to do anything other than sitting down and minding the children. All hard work was beyond her. To him, she was just a “gift” from a rich man. You can’t really fault her. You see, she has a pair of bound feet. Even though her feet was “released” after just a few years and they eventually grew back, but they were already deformed and she has difficulties walking. It took her many years to learn to walk properly again and it was excruciatingly painful for her to do so. In those days, you do not have Indonesian maids or helpers. Driven by sheer necessity, she sat down and wrote a letter to her relatives in Guangdong asking them to look out for another wife for grandpa. The candidate must be someone hardworking, willing to slog without a whimper and preferably from a poor family. In a short time, one was found and put on the boat bound for Malaya. 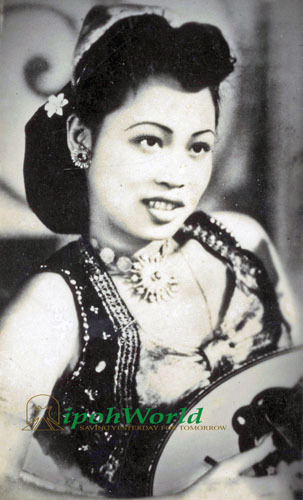 Her name was Ng Mooi吴妹. She was accompanied on the long journey by her male relative. But it turned out to be a nightmare for her. She was sexually violated by him on the boat the entire journey. 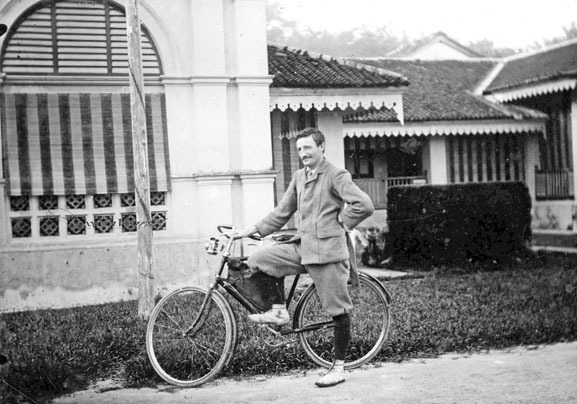 Once she reached Gopeng, he quickly took the return trip on the same boat back to Guangdong. When Grandpa found out, he was very furious indeed. There was nothing he could do but to accept her. However, he was unsympathetic to her ordeal and instead gave her the cold treatment. Before long, she began to fall into a deep depression and shut herself in a room all day. One day, Grandpa was out at the market and Grandma was asleep with the children. Poor Ng Mooi put together a heap of dried coconut shells which were use for cooking and started a fire. Soon the whole house was burnt down. Luckily nobody was killed. When Grandpa got home and saw the flatten house, he blew his top. It was a rented house, not his own. In a fit of anger, he took her to Tanjung Rambutan and had her committed into the mental hospital. At that time it was ran by the British administration. Fault was, Grandpa did not visit her at all. A few years later, the hospital sent Grandpa a letter written in English, but Grandma could not read it. So the letter was just put aside and Ng Mooi was forgotten. By then, Grandpa insisted for another wife and this time he personally went to Guangdong to fetch her here. 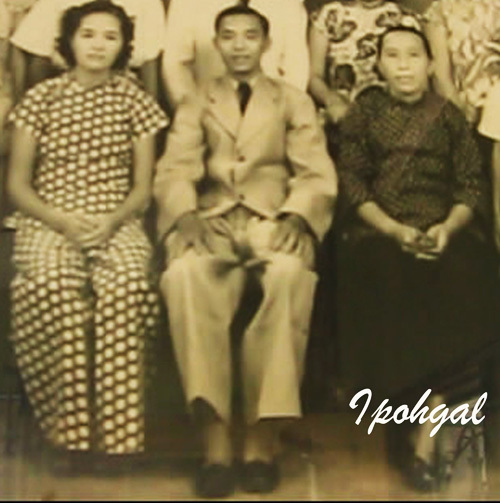 It was around this time that the family moved from Gopeng to Batu Gajah. There, Grandpa bought a plot of land to build his own house, ready to welcome the new bride, Chan Kwan陈裙, who later bore him another seven children. At last, with ten children and a hardworking third wife, Grandpa Yip Soo finally got all the help he needed in his bean curd business! And Grandma Yim Mun can sit down comfortably again! Note: Yip Soo was seated in the middle. On the right was Yim Mun and on the left was Chan Kwan. There was no photo of Ng Mooi because she was send off to Tanjung Rambutan by grandpa shortly after arriving in Gopeng. “….they were made to parade around the town with hands cuffed and placards hanging from their necks with the word “Illegal Gambler非法赌徒”…….”. I think this maybe still the best or effective way to shy away the offenders from doing so. And to KLboy, yes, I agreed with the British way of punishing illegal gamblers! To shame you publicly so that everybody knew of your crime and you will think again before committing it again. But it will not work on those with thick hides. However, my family all still have a good laugh at how my grandpa hung his head in shame for gambling until his family were left staving at home. We all agreed it was a good lesson for him. It was definately better than caning. The way you wrote just as if you drive readers through windows of the past or to tell what the past was. Well,…I think most of our grandparent(s) came here to search for new life, some may have settle down later and others may just merely opportunists. Hi Song, thanks for your compliments! I am glad to be able to take you all down memory lane. As for oppurtunists, could not have agreed more with you on this! Cheers and have an enjoyable weekend. Well done IG, another engrossing and touching story. Thanks for letting us have an insight of how life was then. Your family history is very interesting indeed. Hope you have got it all well documented for posterity. Ah…The Chinese “bound feet” also called the “Golden Lotus”. Ya,Katherine,Gordy,RSG and KLboy, agreed with you all. “Bound feet” women a thing of the past, but real interesting topic indeed.I think many of you have some idea about it.Mind to tell more ? In olden days, normally the truly rich and notable man was able to have “mui chai” to serve his daughter. Not like today’s world, you can simply see Indonesian maids everywhere. Hello Ipohgal, I enjoyed reading this story. It was so interesting. As a student, I liked such stories which I could not find in my school History text books, which were so boring! Keep writing them and I must say WELL DONE too!!! Wooow..! I don’t know that Tanjung Rambutan have been existed so long ago, any idea or any further detail of this? 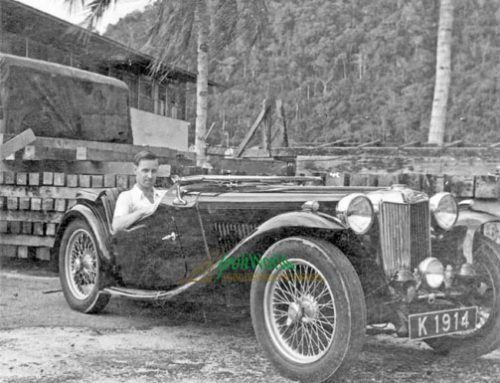 “The Kinta Tin Rush attracted not only mining towkays and coolies but all sorts of people, including adventurers, mer­­chants, crooks and prostitutes,” said Dr Ho in an interview. Yes,”TIN” gave the people in the Kinta Valley an identity either directly or indirectly. Hi Song, thanks for the interesting link! I think Yip Soo belonged to the merchant category of immigrants. Towkays, coolies, adventurers, merchants, crooks or prostitutes, their aims were the same – for a better life. These pioneers laid the foundations for what Perak was today. KLboy….maybe the theory of ‘survival of the fittest’ is somewhat true. 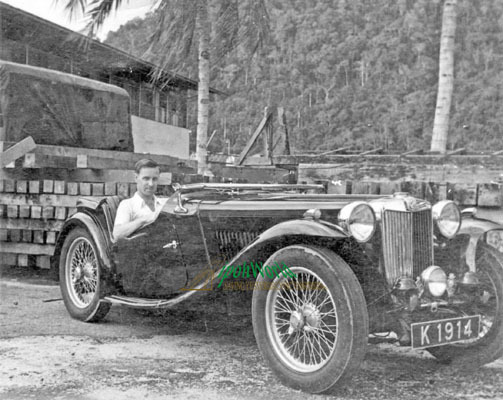 not everyone who left their homeland and came to Malaya to seek a fortune were lucky. how emgrossing your – grandfather story – IG. It gave a soul and color to the many faceless migrants who came and settled in the Kinta Valley in the early 20th century. 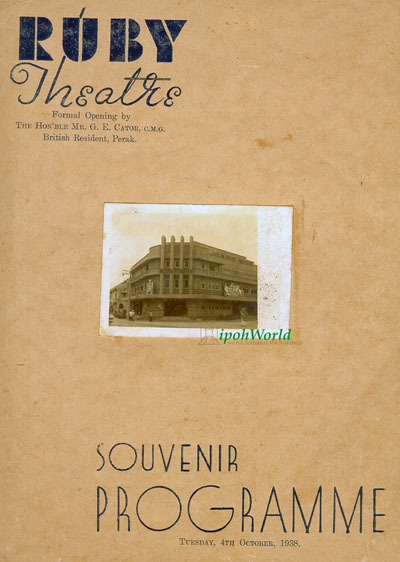 yours is a sequel to IPOH – when tin was king – ablbeit – the story of the many you/s and the me/s who hail from the kampongs and villages. Hi KLboy and Felicia, I think there was some truth to the theory of ‘survival of the fittest’ among the earlier settlers in Malaya. Not everyone was so lucky to strike ‘tin’ and became wealthy towkays. For one towkay, I believed, there were thousands of coolies who earned their keep with much blood, sweat and tears. For those who did not have much luck on their side, I think they made it up with their brains and their physical strength. Everything depends on ourself without hoping for any help. “Hard working” is the only way to overcome all obstacles, and create something miracles out of nothing are the golden rule of surviving. Without the persistency, there isn’t any success in life. With the determination toward life, success is definitely in our hands. Without getting through all the stages, just like a larva(pupa)is not able to transform it into a Monarch(butterfly)and spread its pretty and colorful wings with pride. Well say, Ipohgal. You have good understanding in Chinese proverb too. Hi kinkonkid, ipohgal & RSG. There are no better proverb as all of you have mentioned to describe their “Hard working”,”Determinations” & “Persistency” in building a better life. This theory still apply in today’s world. Hi there ! You can count on me.Haaaa. , “Survival of the fittest”. I agreed, proven from the history of Ipoh. An interesting topic here , most of them were our nation builder of the past. Ipohworld has any idea ? Do you agree or think so this wave also related to “…Many spend years to redeem their freedom.This wave of illegal human trafficking was called “Mai Chu Chai卖猪仔 (人口贩卖).”” ? If yes, any story on this ? hi IG – I am not an acquaintant of James Wong but a follower of his blog. Ipohites are made of stern stuff – as they said – 有骨气. Hey, guys! 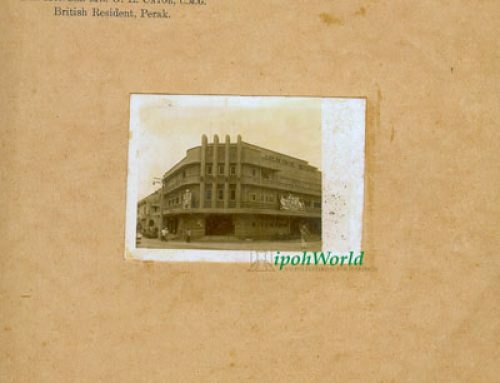 The reason why I and my other friends are interested in such a blog,like IPOHWORLD is because our birthplace KUALA LUMPUR and IPOH shared the nearly same historical background; both were built on “TIN”. Agreed? Haaaa…..
Keep up your good work.Have a nice day!